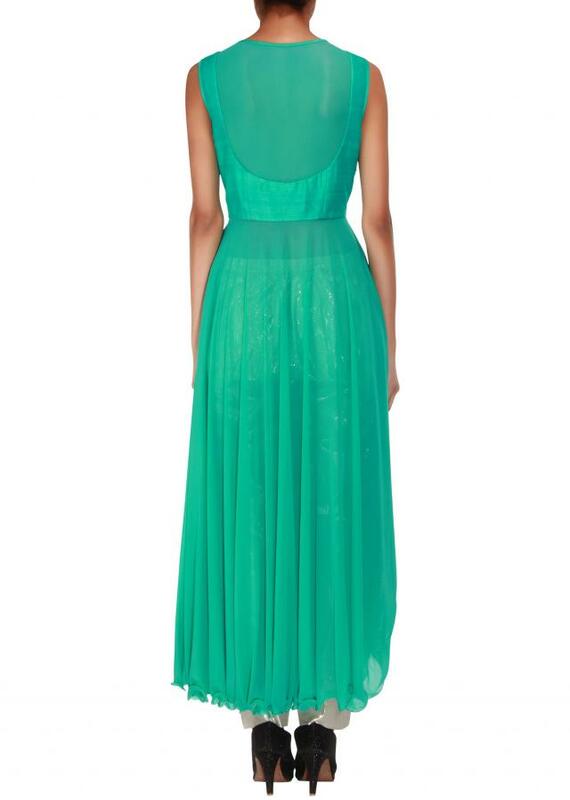 Featuring a mint lycra anarkali. 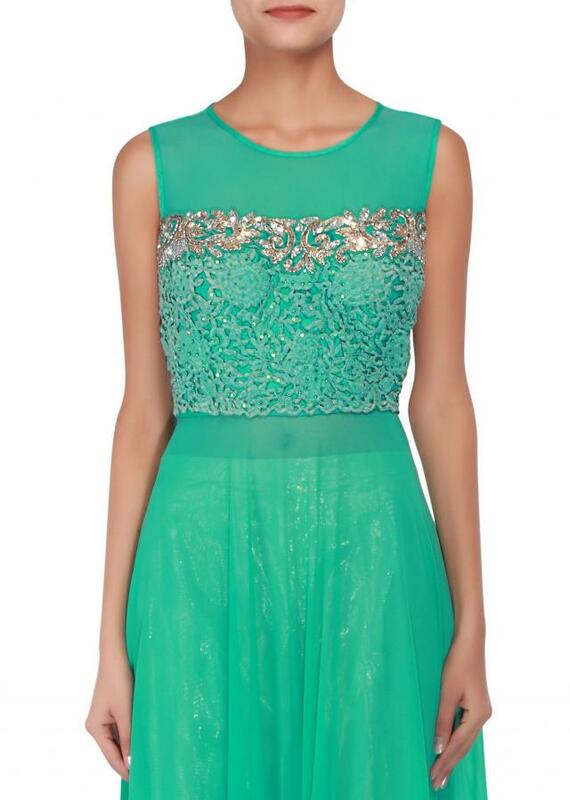 Bodice is in mint raw silk embellished in sequins and resham cut out embroidery. 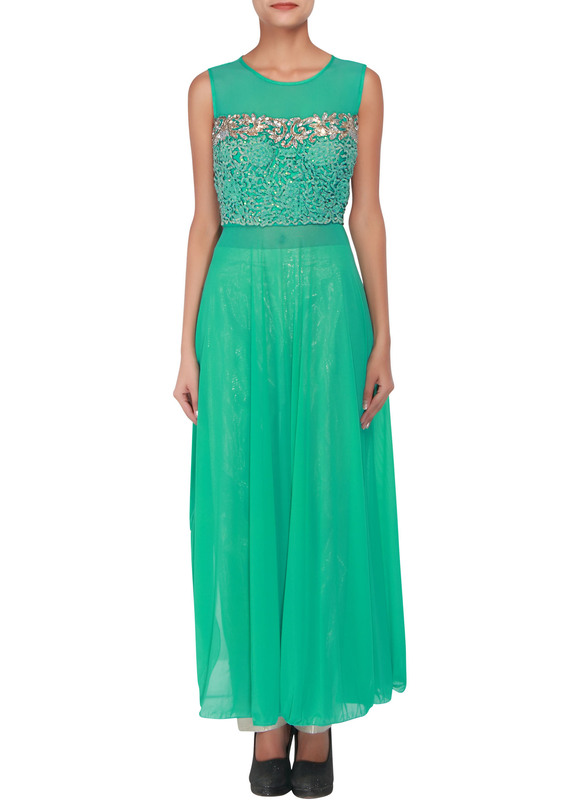 Yoke embellished in sequins patchwork.